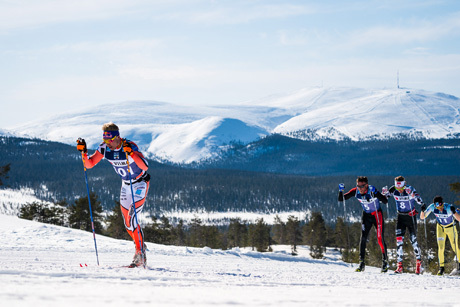 SKI.BG > СКИ в България > THE FINALE OF VISMA SKI CLASSICS YLLÄS-LEVI CONJURES THE MAGIC OF LAPLAND! SKI CLASSICS. The final event of the Visma Ski Classics Season IX will take place on Saturday in perfect winter conditions. The weather should be very similar to the past two years when the race has been basking in the spring sunshine that only Lapland can offer. The preparations are proceeding extremely well and everything is going to be in place well before the D-day. The 70 km course has two sprints; one in Äkäslompolo at 15 km and the other one in Pyhäjärvi at 36 km, and one climb competition checkpoint at the top of Kukastunturi at 22 km. There are three long climbs on the course offering breathtakingly beautiful sceneries on top. The start of the race is at the sport center by the downhill slopes in Ylläsjärvi and the finish is in the center of Levi. There will be some fierce battles for several category wins such as for the Champion title between Andreas Nygaard, Team Radge Eiendom, and Petter Eliassen, Team BN Bank, and the former now leads by 27 points. Another tight fight will arise in the men’s climb competition where the current three best skiers, Simen Østensen and Morten Eide Pedersen, both Team BN Bank, and Chris Andre Jespersen, Team Koteng, are within 25 points. There are also thrilling fights expected to take place in the youth categories and Visma Nordic Trophy competitions. Even in the sprint competition Anton Karlsson, Lager 157 Ski Team, has not secured his overall victory yet. In addition to these suspenseful neck-and-neck contests, we can expect to see an epic battle for the victory of Ylläs-Levi in the men and women’s races. The aforementioned Nygaard and Eliassen will fight tooth and nail since they know that the race win will guarantee the Champion title, but they will face two podium skiers from Reistadløpet, the winner Mikael Gunnulfsen, Team Telemark, and Erik Valnes, Team Koteng, and the Finnish National Hero Iivo Niskanen who has two Olympic gold medals and three World Championship medals, including gold, under his belt. In the women’s race, the Team Koteng pro skiers Astrid Øyre Slind and Masako Ishida may repeat their Reistadløpet feat and take home double victory. Britta Johansson Norgen, Lager 157 Ski Team, has already won the overall Champion title, and she may not be as hungry for glory as her opponents. 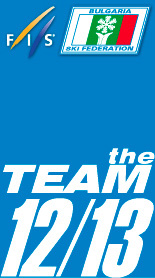 And what will Team Trentino Robinson Trainer’s ace Justyna Kowalczyk do? She won Birkebeinerrennet this season and she really likes racing in Finnish Lapland. This Saturday, Ylläs-Levi starts at 7:25 am CET with the elite women, and the elite men and all other participants follow the suit at 8 am CET.